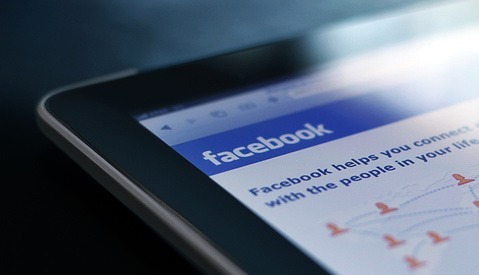 There are more than a few ways to go about advertising on Facebook, and with Facebook’s increased attention to paid advertising you need to know what you’re spending your money on. 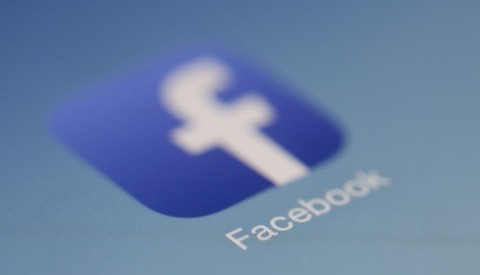 Here are the 3 best ways to advertise on Facebook that you want to make sure you’re doing. 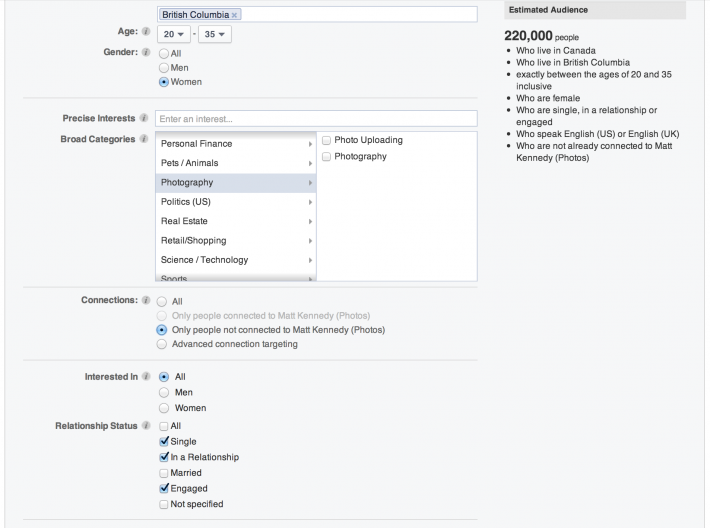 It’s not hard to run up a huge bill from Facebook if you’re not careful about how you setup your advertising. They’ve made it overly easy to “Boost” your posts and spend a whole ton of money on just post likes and comments. Take a quick look at the Admin Panel of your Facebook business page and you’ll see more than 5 ways that Facebook is screaming “GIVE US YOUR MONEY!!!”. I’m going to help you sift through the dirt to find the gold in these advertising options. It is very important that you recognize the difference between news feed ads and right column ads. News feed ads are the full size posts that show up in people’s news feeds, and they have the highest likelihood of generating traffic as far as ads go. Right column ads are the small ads you see on the right side of your Facebook News Feed under the “Sponsored” area. These are less likely to generate traffic, and will eat up your budget with impressions. Content is king, always has been, always will be. The presentation of that content is almost just as important as the content itself. This means that you need to pay very close attention to your ads so that you are presenting the most engaging content possible in order to have your viewer follow through on your call-to-action. 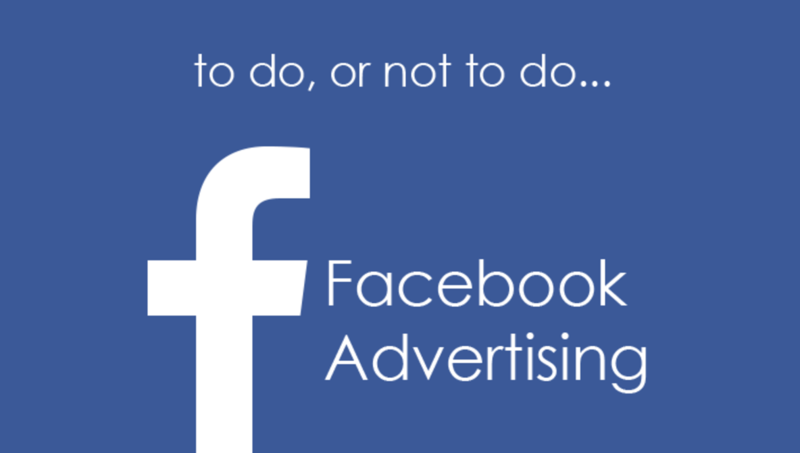 In order to do this, Facebook has provided a few great options for your advertising needs. The Power Editor is a thorough system for creating elaborate and precise advertising campaigns. This is a very advanced feature and should be carefully navigated in order to get the best results. Of all of the options for advertising on Facebook, this is the most robust and powerful. One of the best features of the news feed ads is that you can set a landing view for your page so that people will be brought to your desired lead-capture page instead of your page's wall. This is a much more user-friendly version of the power editor with a few less options, but more than enough for the average business user. There is a very clear flow to the process and you’ll find great customizing options for your ads when you click on all of the advanced settings buttons. There are a few different options for your goals of the ad, and choosing the right one for your call-to-action is important. 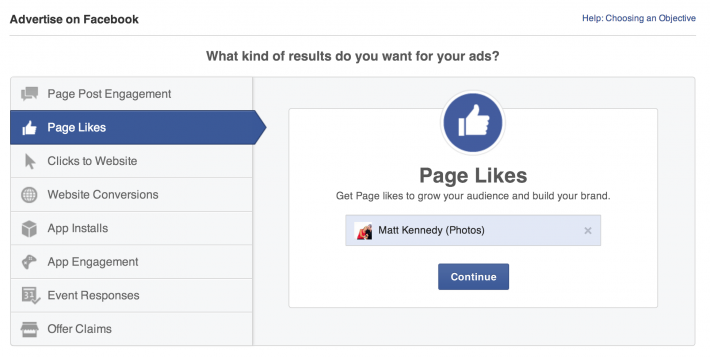 If you’d like to gain more likes, then choose that option and create an ad that will entice people to like your page. There are hundreds of strategies that you could use for doing this with your content and text, so I will just say that you should have an enticing image that catches your eye, succinct wording that solves a problem, and a clear call to action. These are different than ads because they don’t have a “Like” button on them, and they generally look like a standard post instead of an advertisement. These are a great alternative to standard ads because you can use video content. When creating an ad, you are only able to use 1-6 images as your supporting content, but with sponsored stories you can use whatever you’ve posted. In order to do this you should create a few posts that you think would make good sponsored stories and then let them run their course for a few days. Once your stories have proved that they are engaging and the call-to-action is being followed, then you can choose to sponsor that story in the advanced features of the “Promote Page” section. With this type of advertising, it is very important to have a single, clear call-to-action or else you will spend money and only receive post likes and comments. If you want people to visit your site, make that the only option. 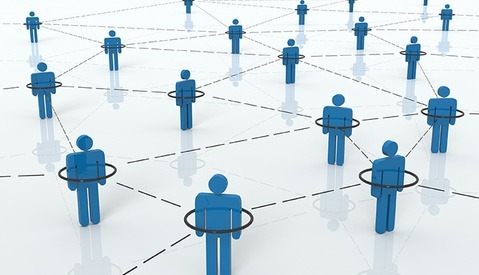 If you want people to share the post, ask them to share it. You will get out of these what you put in, so take your time and do it right, otherwise you’re just giving your money to Zuckerburg and his investors. 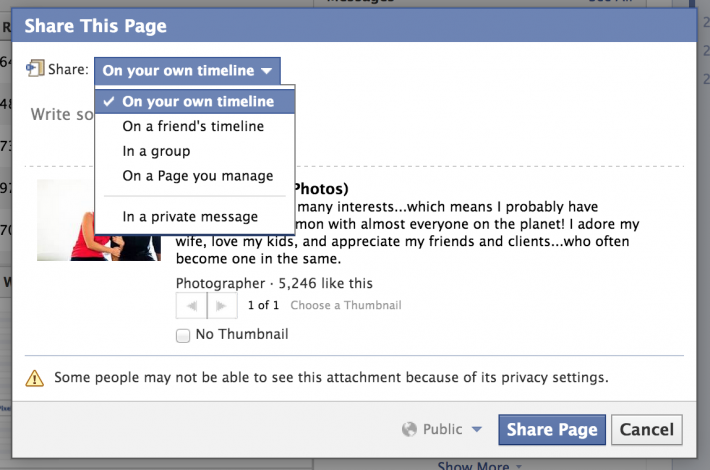 Hopefully these tips help you decide on a path you want to choose for your Facebook marketing. If you're excited about what Facebook marketing could bring your business, you're going to be really excited about this week's Facebook tips on how get more likes and what to do with them! Click here to get the tips in your inbox! Another tip, make an advertising campaign with a LARGE audience (like every european country). 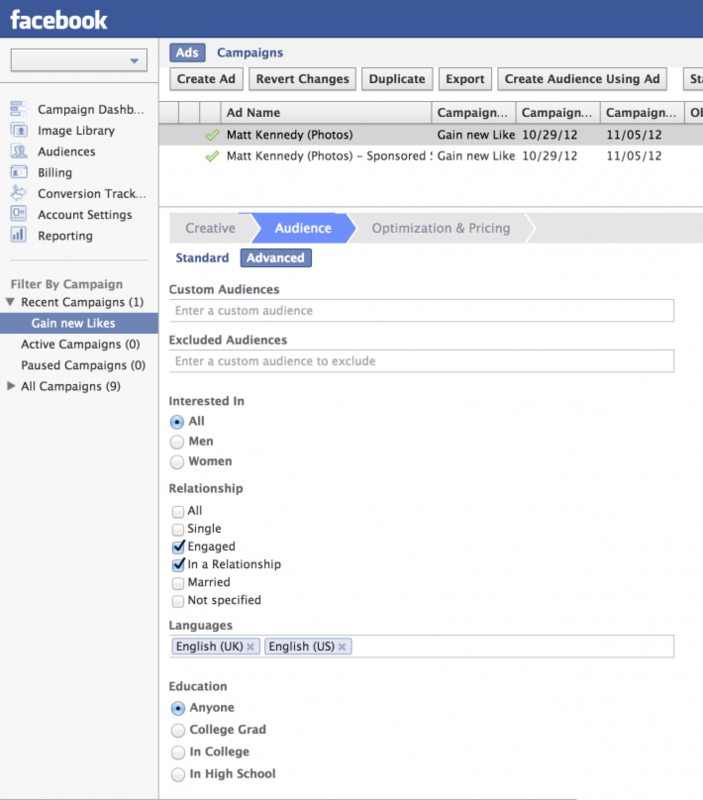 Select 'pay per click', and customise bidding. Bid 0.01/click ;) Then repeat it and make like 15 adverts. Obviously not everyone who clicks through likes your page, but if you've got good content I find 1/3 people do. It might not be targeted as such, but at least people who like the page are genuinely interested in your work. Depends on your end goal too, I'm trying to break into advertising, so don't see facebook as the way to reach my clients, more a place to spread the word and sell a few prints. To hell with Facebook and their new "marketing". Their algorithms and settings now make it impossible to reach the vast majority of the people I've worked so hard to get on my page. At most, I reach about 15% of my fans with any post, and even when I've been stupid enough to pay $7 to boost the post, I still only get on about 20% of my fan's news feeds. Also, with their change a few months ago, so that when you tag someone in a photo posted to your business page (like a bride in her engagement pictures) is doesn't show up in that person's news feed automatically anymore. I flat out refuse to spend any significant time massaging a platform that has shown so much disdain for me as business owner. I still maintain an active page because my clients expect it, but Facebook is dead to me now. While I don't disagree with a single thing you said.. and believe me, I really share your frustration with FB. I'll tell you what someone else told me. Facebook has grown my business exponentially.. for FREE!!! I have paid nothing but time for all of the advertising I have done on facebook. Most of my bookings come from facebook and I have not paid a cent. I do get frustrated with facebook and it's ad-pushing, post-burying tactics, but I try and remember the above and that normally calms me down some :) Hope this helps! Mark, I'm glad you've had success through FB. However, my 400+ fans have never, in two years of posting quality content, gained me a single new client. I got tons of likes and comments until earlier this year when FB tweaked their algorithm as I mentioned above, but I have never had a prospect tell me they found my through my Facebook page. Not once. I will not give one penny to a company that goes to such lengths to make sure my efforts result in nothing at all. That's basically theft of my marketing dollars as far as I'm concerned. Sounds like your time is better spent elsewhere for marketing, good on you for realizing that and not spending all of your time on fb if it's not working for you. It's working for me and many other great, but to each his own. James, I just clicked on your name and saw 83 comments on the site...then I read...and read, and read...every single comment was negative? I hope you're gaining something from being a reader here, as it doesn't seem to me that you're contributing. Not that you have to contribute, but are things really that down and out that you have to bring such negativity on here? Of course, this comment may arise some more negative response, but it has to be said man. If there's anything I can do to help you out, let me know. Matt, As always a huge thumbs up for breaking this down for us. Marketing on FB is one of the most frustrating things out there. I have found that the "hot threads" method has dwindled down. I tried it when you posted the article and it seemed to work great... for a while. Now, numbers have again gone down. Do you know if FB has caught on to this and is (again) trying to force you to pay for advertising? From all of my experience it is no good. It costs money and doesnt work. Best to just post things that you are doing. If you are doing them well people will want to hire you. I JUST DELETED MY FACEBOOK ACCOUNT. 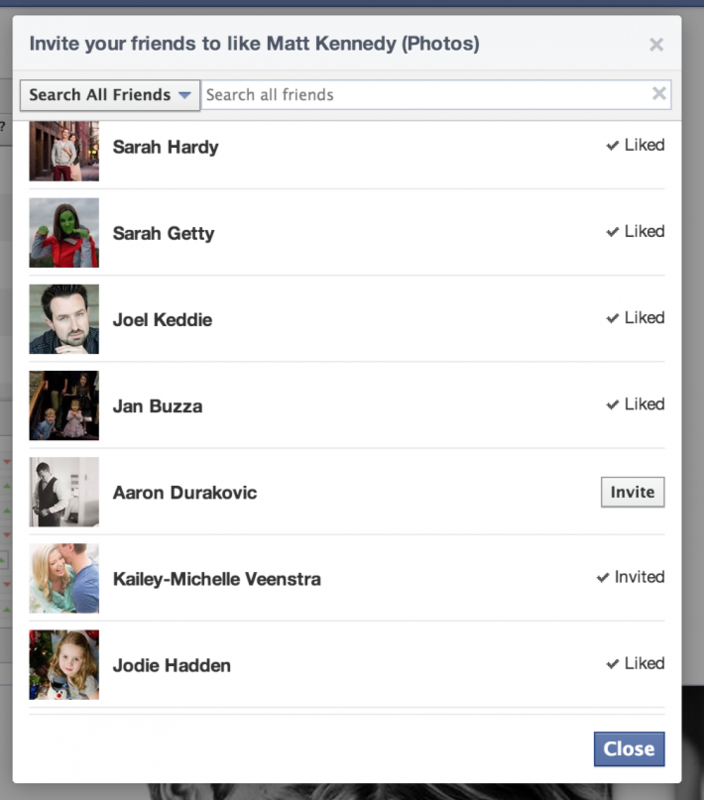 FACEBOOK IS OLD NEWS AND JUST DESIGNED FOR TRACKING. WAY PAST ITS POPULARITY PERIOD. I pay for likes on my facebook page, simply because it's more cost effective than buying ads from facebook itself in attempt to get likes. I found out having a lot of likes is more prestegious from the clients viewpoint than having a lot of interaction. But i have a good amount of both.